Do you use your roof space? One of the best thing we did in our first home, which was a really small Victorian cottage, was to install a roof space ladder in the hallway so we could use the attic as storage. Do you currently use your roof space or have any plans to convert it to useful storage space or living area? Re: Do you use your roof space? I don't think we have sufficient headroom up there. But digging down now seems to be popular. I've noticed that all the new builds in my area now do significant excavations, often for what looks like a garage/workshop/gym so they can add square metres to the property without adding an extra story and/or having a garage affect the street appeal of the house. Ducted air conditioner takes up a lot of space up top. Down gets wet in a hurry once you hit the clay 600mm down. Shed has trusses that has been used as storage, one day will make it look better. We have massive room in our roof space (even with the A/C duct) and because of the open plan living, quite a few RSJ's spanning between the load bearing walls. After consulting an engineer, I was able to span the RSJ's and build a 6 sqm fully insulated attic to store seasonal gear in. Also installed an attic ladder in the rear hallway for easy access. Honestly don't know what we would do without it. Nice one @darylhewston, that sounds fantastic. Storing seasonal gear in an attic sounds like a great solution. One of the things I'm concerned about having more storage space is that it might encourage hoarding behaviour, but we do have a lot of stuff like camping and snow gear that doesn't get used often. Hoarding was my concern as well however we planned it smaller than we could actually make it so hording is out of the question. Because we don't have a lot of built-in storage, the attic takes a lot of gear that we don't use on a full time basis. Things like Xmas stuff, suitcases, winter gear and our daughter over the years has bought household items (pots, pans and the like) so she doesn't have the expense of purchasing everyday items when she gets her own home. The ladder makes it so easy to get up and down even with a box of goodies. If you have the room, I would highly recommend putting one in. Unfortunately, our roof construction is gang nail truss, which isn't access friendly (unless you're a chimpanzee), & the air con ductwork compounds the problem. 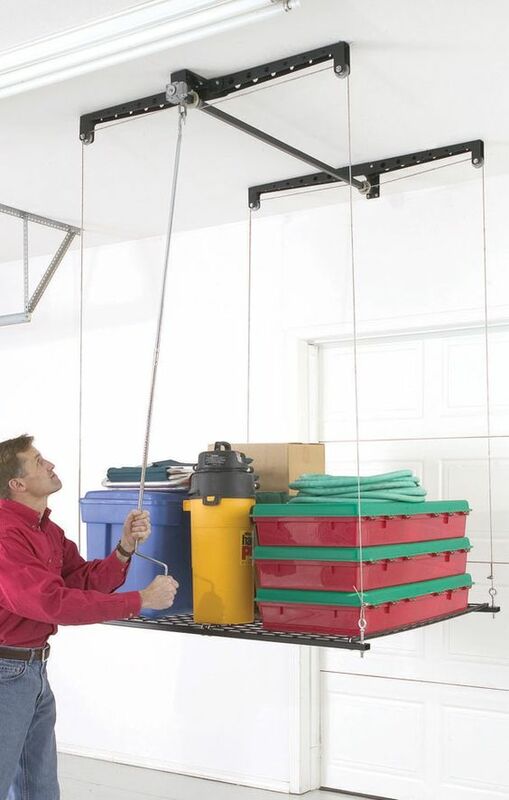 A pulley lift storage platform in the garage, is definitely on my wishlist. Makes sense given our crazy price of houses to make the most of any possible space.